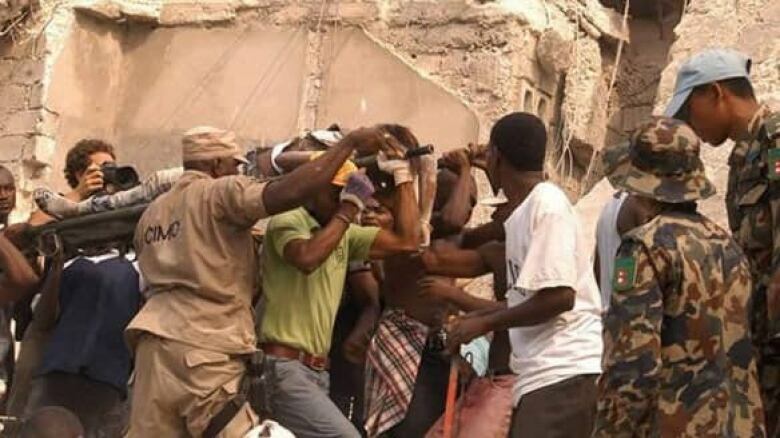 An earthquake is one of the most destructive events in the natural world, and more than three million people were killed by them in the 20th century alone. Although scientists are able to predict which regions are most likely to be hit, it is still not possible to predict when a major quake will occur. Two major earthquakes struck Japan within a matter of days - a magnitude 7.0 quake on April 14 and one of magnitude 7.3 on April 16 - leaving at least 47 dead. Ecuador was also hit by a magnitude 7.8 quake on April 16 that did billions in damage and killed more than 500. 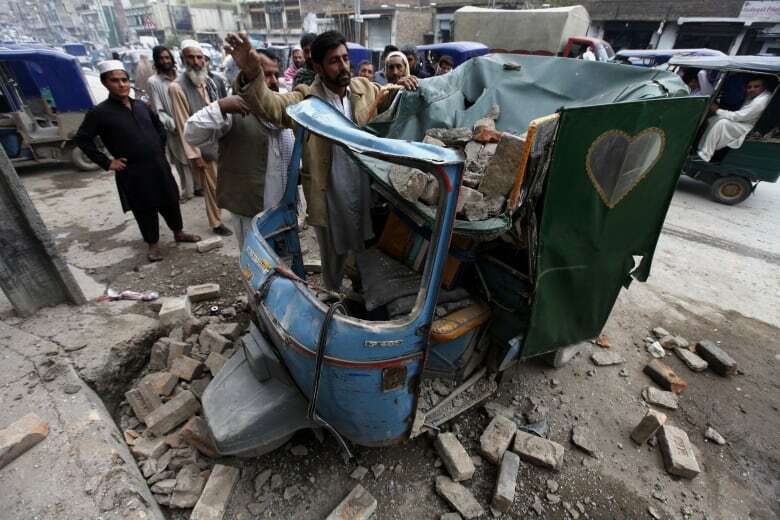 People remove debris from a rickshaw on a road following a 7.5 magnitude earthquake in Peshawar, Pakistan, on Oct. 26, 2015. The strong earthquake hit northern Afghanistan's Hindu Kush mountain range, causing damage in Pakistan and India as well. (Arshad Arbab/EPA)Major earthquakes are one of the most destructive events in the natural world. They are unpredictable and can kill thousands of people and obliterate homes, buildings and roads in a matter of seconds. Undersea quakes can also trigger tsunamis. Earthquakes capable of causing widespread damage, injury and death have hit populated areas every year over the past decade. More than three million people were killed in quakes in the 20th century. Although scientists are able to predict which regions are most likely to be hit, it is impossible to forecast precisely when a major temblor will occur. 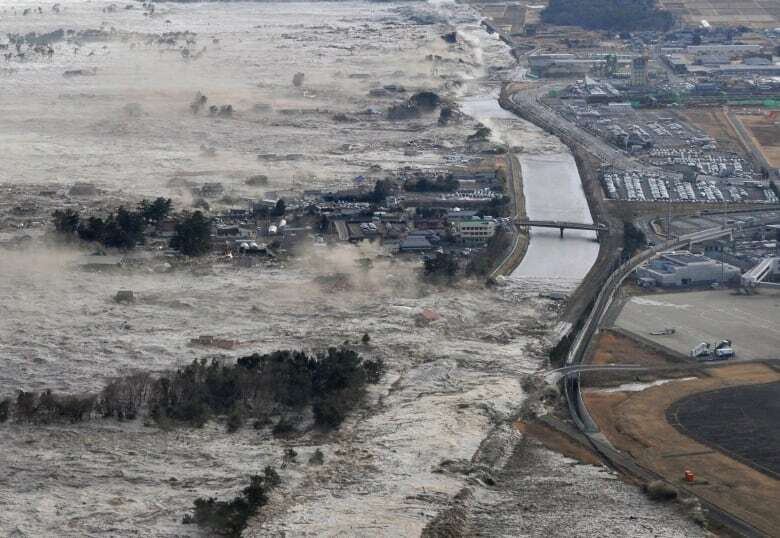 An earthquake-triggered tsunami sweeps the shore along Iwanuma in northern Japan after a magnitude-9 quake on March 11, 2011. The disaster triggered a meltdown at the Fukushima Daiichi nuclear power plant. (Kyodo News/Associated Press)The damage from earthquakes can reach a massive scale. On Mar. 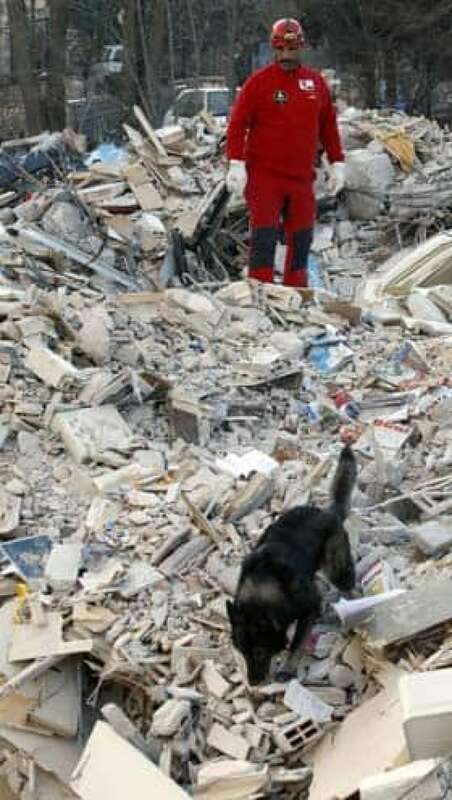 11, 2011, for example, Japan was rocked by a massive 9.0-magnitude earthquake that struck off the coast of the country's northeast, causing a huge tsunami that swallowed homes, swept away cars and boats, and forced people to scramble for higher ground. More than 15,850 people were confirmed dead; 3,203 were unaccounted for; and 452,000 were displaced from their homes and are living in shelters. A year later, more than 80,000 were still unable to return home due to radiation from the Fukushima Daiichi reactor damaged by the quake and tsunami. 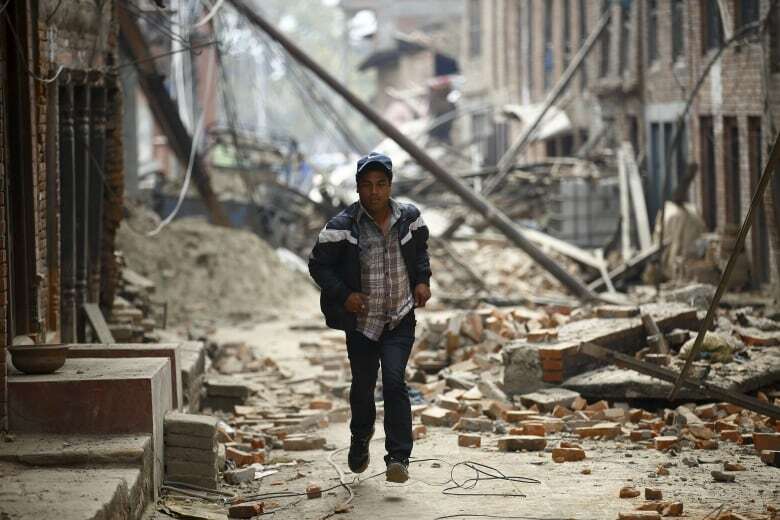 A man runs past damaged houses as aftershocks of an earthquake are felt a day after the huge quake in Bhaktapur, Nepal, on April 26, 2015. ( REUTERS/Navesh Chitrakar)The ground beneath our feet seems rock-solid, but our planet's surface is in fact a dynamic grid of slowly moving sections, known as tectonic plates. Normally, this motion is imperceptible to humans, showing itself only on geological time scales (North America and Europe, for example, are drifting apart at the rate of just five centimetres per year). The movement causes stress to build in the crust. If the stress rises beyond a critical threshold, a portion of the crust will give way, shifting suddenly and violently. This sudden motion usually occurs along a fault or fracture – a zone of weakness in the earth's crust. The result is what we call an earthquake. "You can only push a rock so far," explains Joseph Wallach, a geologist at the University of Ottawa. "At a certain point in time, the rock will fail, and you'll have an earthquake." Ninety per cent of earthquakes occur along the boundaries of tectonic plates, but they can also happen in more stable regions, thousands of kilometres from the plate edges. The destructive power of an earthquake depends on the depth of its point of focus. The spot on the earth's surface directly above the focus is called the "epicentre." For the most common quakes, known as "shallow-focus" events, the focus is just a few dozen kilometres below the surface. Because the crust is in motion so close to the surface, these are the most powerful and deadliest quakes. In contrast, "deep focus" earthquakes originate hundreds of kilometres below the surface, and cause less damage. Earthquakes can also occur beneath the ocean; such oceanic quakes can trigger enormous tidal waves, or tsunamis. These waves can travel great distances at speeds of up to 1,000 kilometres per hour, attaining heights of up to 15 metres as they reach the shore. The first practical scale for measuring earthquakes was developed by geologist Charles Richter at the California Institute of Technology in the 1930s. Experts now talk about "moment magnitude." The number referenced as an earthquake's magnitude is an estimate of how much and how far the earth moved at a specific time. The energy released by an earthquake goes up by a factor of 32 for each one-point increase in magnitude. A quake with magnitude between 2 and 3 is the lowest normally perceptible to humans. A magnitude 5 quake is considered moderate. 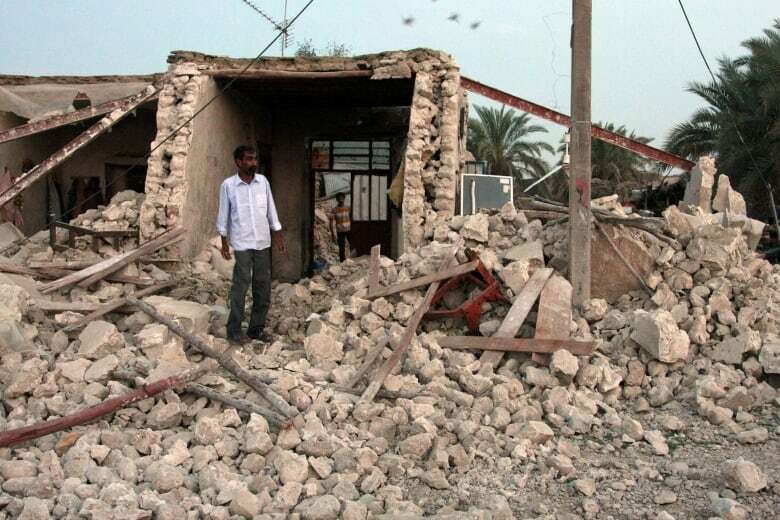 Worldwide, there are about 1,500 earthquakes of magnitude 5 or higher every year. An earthquake of magnitude 6 or higher is considered major. The largest earthquakes in history have been of about magnitude 9. Major earthquakes release far more energy than any man-made explosion. The 1906 San Francisco earthquake, with a magnitude of 8.3, was approximately one million times as powerful as the atomic bomb dropped on Hiroshima. Earthquakes usually occur at the junction of two tectonic plates. These boundary regions, therefore, are particularly prone to earthquakes (and also to volcanic eruptions). The edges of the giant Pacific plate, which lies beneath the Pacific Ocean, form a particularly intense ring of tectonic activity, known as the "ring of fire." This activity causes frequent earthquakes along the west coast of North America and in Chile, Alaska and Japan, and is also responsible for volcanic eruptions in the northwest United States, the Andes Mountains, and the Philippines. Not all earthquakes occur at plate boundaries. In the early 19th century, a series of powerful earthquakes struck the Mississippi Valley in the United States. Named for the Missouri town nearest the epicentre, the New Madrid quakes of 1811 and 1812 were probably the most powerful in recorded North American history, with magnitudes of 8.4 to 8.7. There was little damage and few casualties, as the area was still sparsely populated at that time, but the tremors were felt as far away as Boston and Denver. 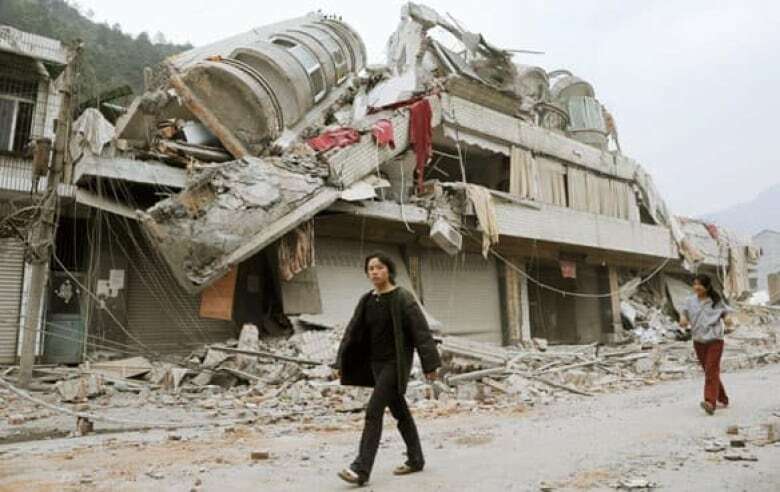 Local residents walk past destroyed buildings in Mianyang in southwest China's Sichuan province, where a massive 8.0 magnitude earthquake on May 12, 2008, left tens of thousands dead and many more homeless. ((Kyodo News/Associated Press))The area, far from the edges of any tectonic plates, is what geologists call a "stable continental region" (SCR). While seismologists and historians have learned a great deal about these 190-year-old quakes, their cause is still a mystery; there have been very few major SCR earthquakes since. The area of eastern Turkey which was struck by an earthquake on Oct. 23, 2011, is one of the most seismically active areas of the world, says CBC meteorologist Johanna Wagstaffe, who is also a seismologist. That quake was what's referred to as a transform fault, where two plates slide beside each other. An Iranian man stands among the ruins of buildings after a 6.3 magnitude earthquake struck southern Iran on April 9, 2013. (Mohammad Fatemi/Fars News Agency/The Associated Press)No one can tell exactly where or when the next major earthquake will occur. Seismologists have, however, several methods at their disposal that can at least allow them to make educated guesses. First, a statistical study of historical earthquakes in a given region shows how frequent quakes of various magnitudes have been in the past. From those figures, they can guess how likely future quakes will be. For example, if a certain region has been struck by four magnitude 7 quakes in the last 200 years, seismologists would say there is a 50 per cent probability of another such quake occurring in the next 50 years. Seismologists can also measure how much stress a certain region of the earth's crust is under, and how quickly that stress is increasing. That knowledge, along with the elapsed time since the last earthquake, helps scientists determine if another earthquake is on the way. This method is far from perfect, though, and requires extremely detailed seismological data, which simply isn't available for most regions. Moderate earthquake off west coast of B.C.